A major English victory of the Hundred Years War, the Battle of Agincourt involved the army of King Henry V and the larger French army led by Charles I of Albret in place of King Charles VI. The English, largely through the use of English longbows, managed to overwhelm the French forces, creating casualties of almost six to one. This victory served as a turning point in Henry Vs campaign to claim the title of King of France. The conflict also served as the inspiration for Shakespeares play, Henry V. Here at Buying a Sword, we offer several Agincourt swords in commemoration of this battle. 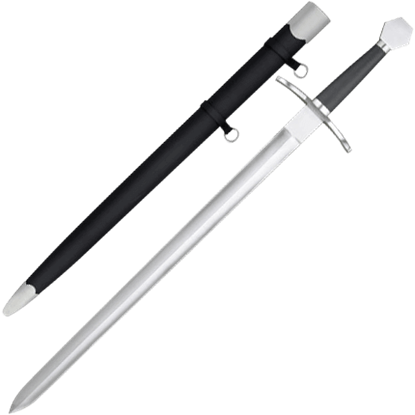 These historical sword replicas are a type of single handed sword, showing off a classic English sword design. 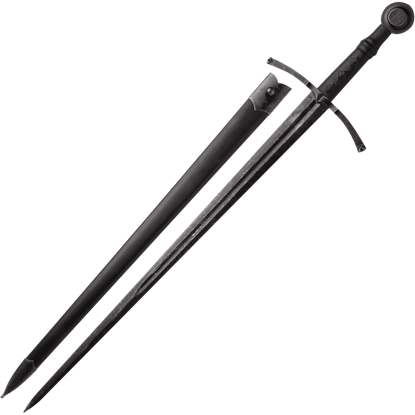 These medieval swords are perfect for re-enactment of this important battle and can be displayed in your home or office when not in use.